This text explores Mikhail Bakhtin's reliance on the terms and concepts of theology. It begins with an identification of the theological categories and terms recalling Christology in general and Trinitarianism in particular that emerge throughout Bakhtin's long and varied career. 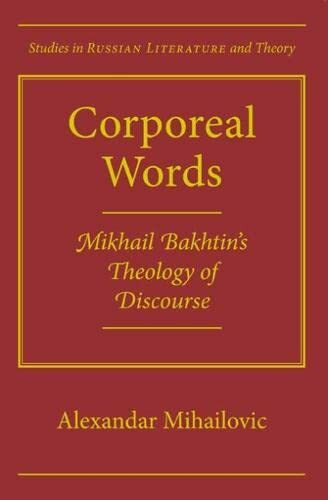 Alexander Mihailovic discusses the elaborately wrought subtextual imagery, wordplay, and palpable orality of Bakhtin's theology of discourse, and explores the role that theology plays in supporting Bakhtin's ideas about the anti-hierarchical drift of language and culture. Alexandar Mihailovic is a Visiting Professor of Slavic at Brown University.